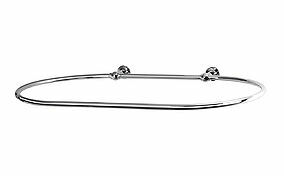 The Oval D-shaped shower curtain rail is 1200mm wide and 730mm long finished in Chrome, Gold, and Nickel plated, or Coloured powder coat to suit. 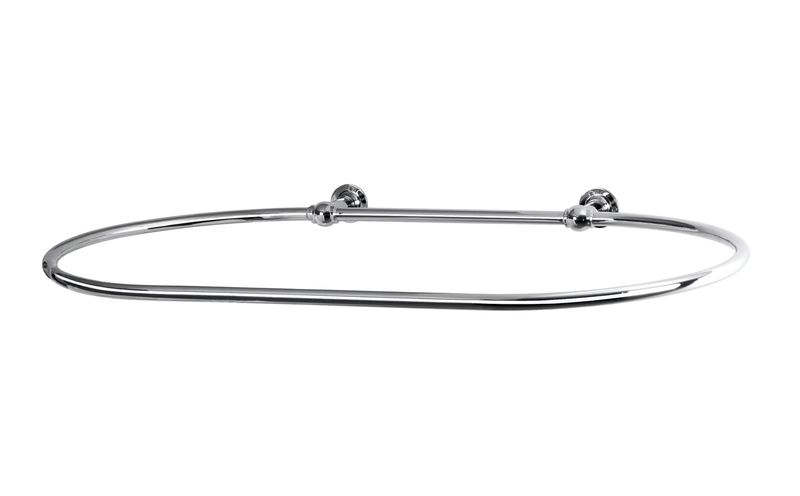 This elegant and problem solving curtain rail is hand built in the UK and is fixed to the wall with two supports allowing it to be fitted in bathrooms with any height ceiling and is ideal for sloped walls/roofs and will even fit snuggly on the most uneven of surfaces. Projects 830mm from the wall. 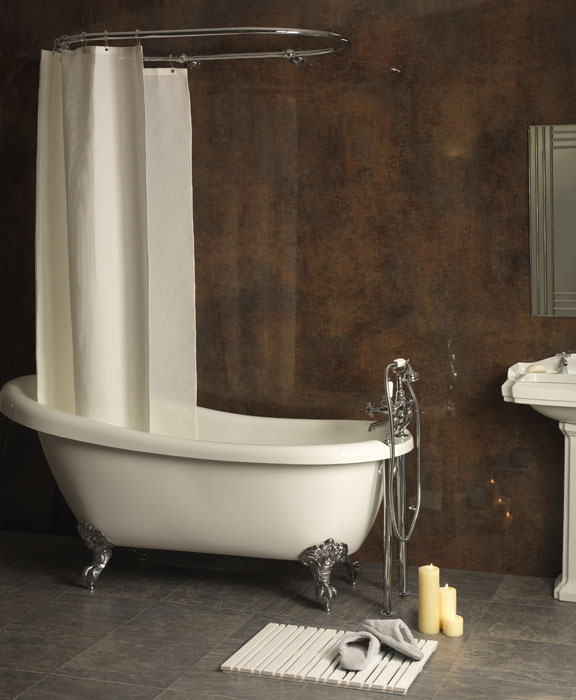 Requiring only one curtain, it provides a high quality, flexible finish to any bathroom or shower unit. Price includes delivery and VAT. For any enquires or bespoke requests feel free to call for further information.